The last few years have been a time of just getting by, and when you are in survival mode, you begin to anticipate that things will always be that way. The Lord has been changing the way I think, raising the level of my expectations. Before the year began, I asked the Lord for a word for 2015. I began to see the word "flourish" everywhere I looked. I took that as my word for the year. 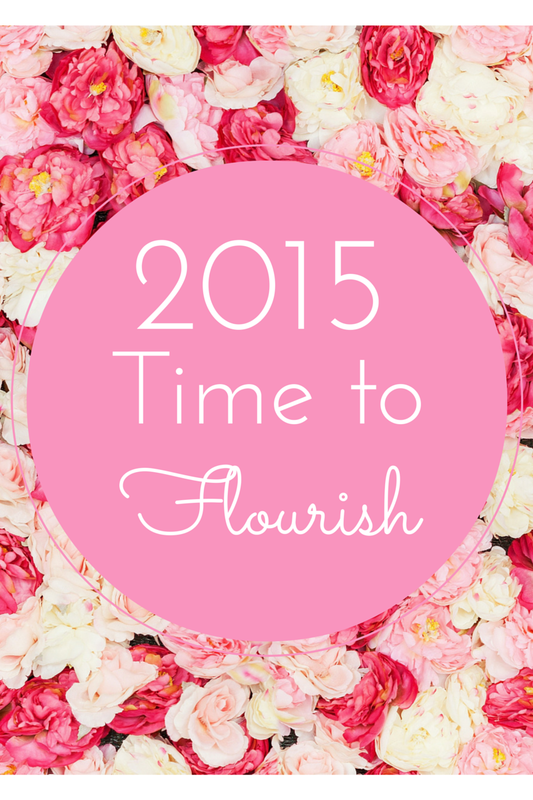 The word flourish means, "to grow well, to be healthy; to be very successful: to do very well. It also means "a sudden smooth movement that is likely to be noticed." I believe that God is wanting to do a work this year that is beyond anything we have seen. Let's raise the level of our expectancy this year and look for ways that God wants to demonstrate His love. I am praying that 2015 will be your best year yet. Let hope arise in your heart. No matter what your past has looked like, this is a new season, and God wants to do something fresh in your heart. Change always begins inside, and then you will see your situation change - never the other way around. Many times we are desperate for our circumstances to change, when oftentimes, the way we look at them needs to be adjusted first. One of my favorite verses is Romans 12:2 (NLT) "Don't copy the behavior and customs of this world, but let God transform you into a new person by changing the way you think. Then you will learn to know God's will for you, which is good and pleasing and perfect." This is your year to be a new person! Let your thoughts line up with what God's Word says about you and your situation. Here's to an amazing 2015! Just read the "I Like First Time Visitors" post - WOW!! We serve a GREAT God . . . If THIS is the way 2014 ended, I can't WAIT to see what 2015 has in store for River Charlotte! - Love you guys! What is the best way in 2019?